Sudeep D'Souza: Computer Training in Institutes - boon or bane ? Computer Training in Institutes - boon or bane ? Hyderabad is becoming a haven for training institutes that can teach you anything under the sun. Some of the questions that I would like to explore in this entry are - What is the quality of these institutes? What are the reasons for these institutes to thrive in this city? 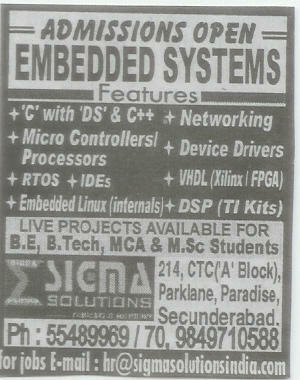 Are these institutes good for the image of the software industry in the city? Let me now try and give you my views on each of these questions. What is the quality of these institutes? 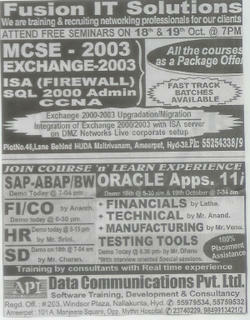 The quality in most of these institutes that thrive in and around the Ameerpet area is bad. I was one of the unfortunate ones that had to endure a one weeks training from a faculty from one of these institutes. The organization that I was working for was looking to train a bunch of developers on Microfocus COBOL and this course was not being offered by any of the recognized training institutes. We then found one institute in Ameerpet that was supposedly doing the course in their institute and was willing to do a one week course for us. The faculty that came consisted of some very junior COBOL programmers that had textbook knowledge of Microfocus COBOL and by the third day agreed that they were just teaching us what was in a Microfocus Manual. Some of the faculty who I have met that teach in these institutes have no real world knowledge of what they are teaching and also are of a quality that will not get jobs in the industry. Given that this is the quality why do people flock to these institutes and that brings me to my second question. What are the reasons for these institutes to thrive in this city? The main reason these institutes thrive in the city is because there is a need that these institutes are meeting. The need is for training in the software world that is not imparted in our colleges and universities and students believing that once they are trained in that skill it’s a ticket to see the world. It’s so unfortunate that most of the people that go to these institutes just do course after course hoping that one of these courses will get them that ticket to ‘nirvana’. I once had a guy who walked in for an interview and he said that he knew Java, I told him that I did not have any openings in Java and that I had openings in .Net and that if he had any of his friends that knew .Net he could refer them, this lad then asked me if he had to learn .Net and I sat with him for the next half hour explaining why he had to stick to Java and master it since he had already trained himself in Java for 6 months and had to just wait for the break. Are these institutes good for the image of the software industry in the city? I have just two words to say “Absolutely Not!! !” I think I have given enough reasons till now to substantiate why I have such a strong view towards these institutes. What can we do to stop this? Shutting them down by force is not the answer. We should cut out their livelihood and that is the students from going to them. First of all I think the Universities and Colleges should change their curriculum to keep up with the industry. 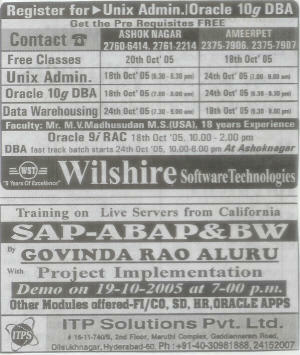 There is no use teaching subjects like COBOL, Pascal, dBase, Lotus 1-2-3, DOS and so on. The universities and colleges should work with the industry to understand the needs of the industry when coming up with the curriculum for the courses. That way the industry gets trained candidates that can be productive as soon as they join. Secondly the universities and colleges in association with the industry should offer courses that are one off such as a course in “The Java Programming Language” as opposed to “Basic Java” or “J2EE Course” as opposed to “Advanced Java” that is offered by the institutes. These courses should be conducted by trained staff from the industry and should lead to certification by the relevant bodies in the industry. That way the education centers continue to play the role that they are meant to play and churn out students that are aware of the technologies that are needed by the industry.